Way to go Lakshya Kulshrestha, 4th grader at Douglas MacArthur Elementary School, for placing 2nd in the Perry Township Elementary Poetry Contest. 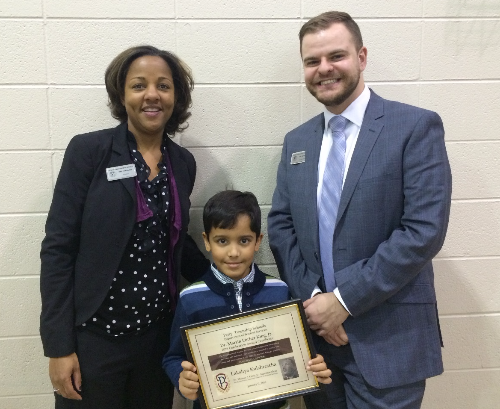 Mrs. Hardimon and Mr. Schneider posed for a picture with Lakshya at the Martin L. King, Jr. Celebration at the PTEC Building. Great job, Lakshya!